Earlier this week, after continued pressure from MLB commissioner Rob Manfred, the Cleveland Indians announced they will strip the controversial Chief Wahoo logos from their on-field uniforms starting in 2019. The club will still sell some merchandise with the racist imagery, but doing so will prevent others from profiting off use of the smiling, red-faced caricature. The Cleveland club began using early version of Chief Wahoo on uniforms in the middle part of the 20th century, more than three decades after it officially adopted the nickname “Indians” in 1915. Wahoo’s defenders sometimes point to the notion that the team took its monitor in honor of a real American Indian player from the late 1890s, Louis Sockalexis, while others express skepticism that the nickname had much to do with Sockalexis at all. But to Sockalexis’ biographer, there is no doubt. Ed Rice, a 70-year- old retired journalist and teacher from Maine who researched and wrote the 2003 book, Baseball’s First Indian, learned that club did, in fact, get its nickname from its association with Sockalexis. But it was never meant as a tribute to his talents or his stature as a pioneering Native American player in professional baseball. Sockalexis joined Cleveland’s National League club in spring training of 1897, at a time when baseball’s professional ranks and associated traditions were far less formalized than they would become in the early part of the 20th century. The team, which would be disbanded after the 1899 season, was popularly known as “The Spiders,” but team nicknames, Rice explained, were fickle in that era. And sportswriters from Cleveland’s four newspapers at the time could not resist the sideshow appeal of an American Indian player taking the field for player-manager Patsy Tebeau. 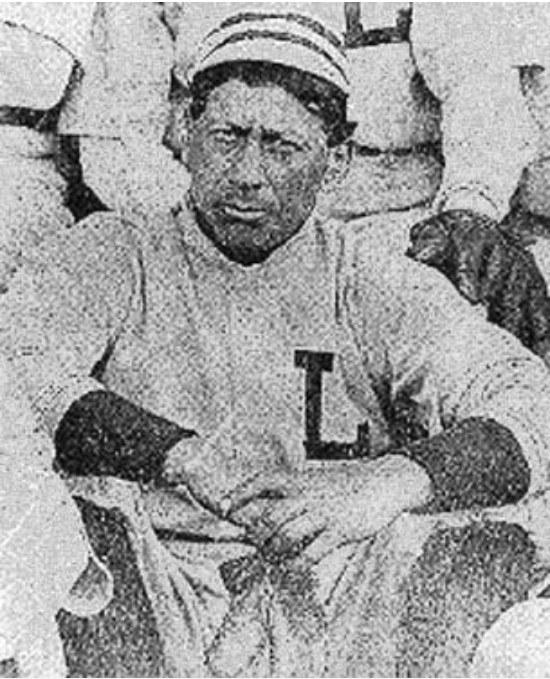 Sockalexis won a starting job in spring training and played well in the early part of the 1897 regular season, and over time, Rice said, the “Indians” nickname took the form of “a backhanded compliment.” But Sockalexis nonetheless proved fodder for humor in an era in which racism was so ubiquitous and accepted that one of Sockalexis’ teammates, George Cuppy, was commonly known by an abbreviation for a racial slur due to his dark complexion. Though the American League began play in proper in 1901, Cleveland’s charter franchise did not settle on a nickname until 1903, when it became known as the “Naps” in honor of star player Nap Lajoie. But the team sold Lajoie’s contract to the Philadelphia Athletics before the 1915 season and challenged the city’s newspaper editors to coin a new nickname. The group settled on “The Indians,” a reference to the nickname used for the team’s Cleveland predecessors during Sockalexis’ stint. And though some news items about the name from the time did not mention the connection to the man who was arguably pro baseball’s first self-identifying ethnic minority, an editorial in the Cleveland Plain Dealer, Rice noted, drew the link to Sockalexis by name. Sockalexis’ tenure in pro baseball was hardly easy. In addition to the treatment he got in newspapers of the time, he heard much of the same from fans and opponents. He struggled with alcoholism, and when he drank his way out of the circuit after a couple of years, papers attributed it to “the Indian weakness.” He continued playing in local leagues in Connecticut and Maine, but the effects of alcohol ravaged his body until he died at of a heart attack at age 42 at a lumber camp just outside the Penobscot reservation in Maine where he was born and raised. Rice, who has collaborated with the Indians’ organization on material related to Sockalexis, praised the team’s decision to remove Wahoo from its uniforms, calling it, like many others have, “long overdue.” But he is fervent in his quest to see Sockalexis more properly and more thoroughly honored. 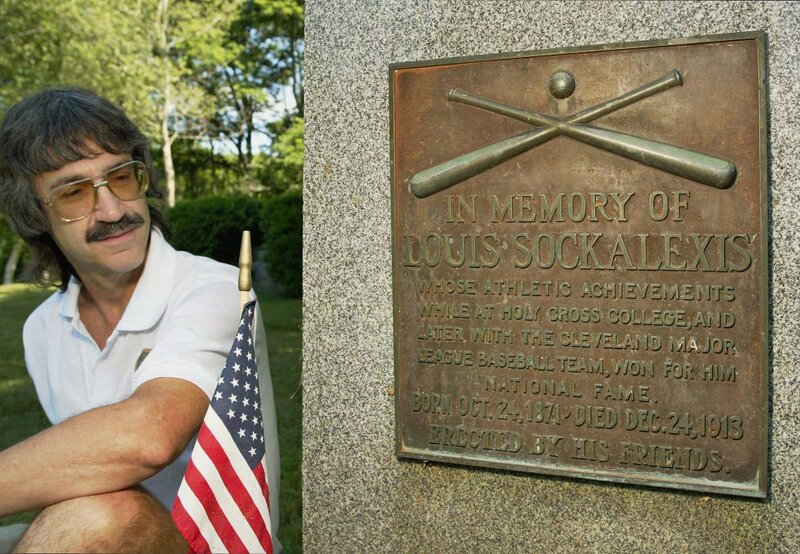 Alongside Theodore Bear Mitchell of the Penobscot tribe, he is in the process of organizing plans to build a fitting memorial to Sockalexis’ place in baseball history, which he intends to present to the Indians in hopes of support. More information about the proposed statue can be found at Rice’s website.